The natural gas boom begs the question: what do you do with the waste? 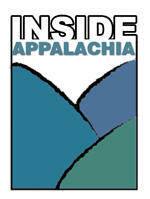 A Virginia learning center focuses on good water stewardship. 3-D printers help Marshall University students learn human evolution. And…what is that pink, teepee-shaped building in Pocahontas County, W.Va., anyway? Dealing With Frack Waste Disposal: The natural gas boom continues to sound in places like the northern gas fields of West Virginia. State lawmakers are working on ways to take maximum advantage of the economic benefits. But they are also grappling with the excess of waste products created in the extraction process. As West Virginia Public Radio’s Glynis Board reports, legislators recently learned more about this issue from West Virginia University experts. Is the Water Really Safe? : Three weeks after a chemical used to clean coal contaminated drinking water in nine counties surrounding Charleston, W.Va., state officials are saying, based on federal guidelines, the water is safe to use. But as NPR’s Daniel Zwerdling reports, not everyone believes this assessment. Learning to Care for Waterways: Water stewardship is the focus of education in St. Paul, Va., at the Wetlands Estonoa Learning Center. Here High School students are steeped every day in a rich, interactive, learning environment through a long-running, student-driven project. As WMMT’s Parker Hobson reports, the Center is both an outdoor classroom and a functioning wetland that helps maintain clean water in the Clinch River watershed, one of the most bio diverse river systems in North America. Reflecting on Civil Rights Leaders: On Jan 27, 2014 the Charleston Gazette published an article entitled “Remembering Malcom X on Martin Luther King Day.” West Virginia University’s Chief Diversity Officer David Fryson wrote the article out of the frustration he felt as a person of color seeing how the African American community is treated, even when it comes to planning things like the Martin Luther King Day ceremony. As we begin Black History Month, Fryson shares his thoughts on these two iconic men of the Civil Rights Movement, Martin Luther King Jr. and Malcolm X. Traveling 219 What Used to be in That Pink Teepee? : Along the highway in Pocahontas County, W.Va., sits a pink, 15 foot high teepee. Shrouded in local mystery, no plaque or sign is out front to explain just what it is, but chances are if you've driven past the thing, it's caught your eye. When Traveling 219 reporters Gibbs Kinderman and Dan Schultz began asking people to explain the history of this roadside wonder, they heard many varying accounts; that the Pink Cone is between sixty and ninety years old; that throughout its lifetime, it has been transported throughout Pocahontas County to at least four different locations and has been used for everything from an ice cream stand, a playhouse for children, and even, despite its cramped quarters, a home for a grown man. More mystery than history, here is what people remember about the Pink Cone of Pocahontas County. Original story posted Friday, Jan. 31 at 2:46 p.m. Emergency units in Berkeley County are responding to a reported fire at Ecolab Inc. in Martinsburg. Ecolab is located in the 900 block of Baker Road near the V.A. Medical Center. The company manufactures industrial strength chemicals, solvents and cleaners. 911 officials said they received reports of an outside tank on fire. Nine equipment units were on scene as of 2:30 p.m. on Friday and were reporting no active fire, but a Hazmat team is checking for any possible leaks as a result. Ashton Marra makes her third appearance on PBS NewsHour reporting on the Elk River chemical spill, discussing the discovery of formaldehyde in a Charleston restaurant as well as the public's feelings on their level of trust in the water. Ashton also discusses legislation moving through the Capitol dealing with the issue. A new report by two independent organizations says West Virginia is lagging behind in bolstering solar energy programs and providing solar energy jobs. The report points out surrounding states are benefiting from past investments into this renewable energy technology. Two groups that support sustainable economic development, Downstream Strategies and The Mountain Institute, teamed up to compare West Virginia’s solar energy job growth to surrounding states. The water company involved in West Virginia's chemical spill is providing 20 more tractor-trailer loads of bottled water for the nine counties affected. Gov. 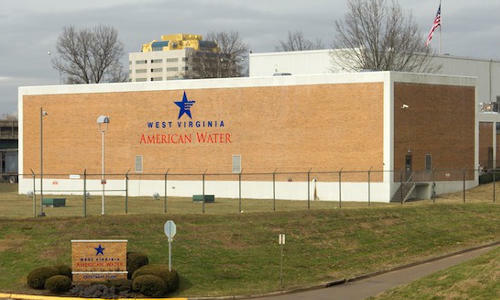 Earl Ray Tomblin requested Thursday that West Virginia American Water offer more bottled water, since the state has spent nearly $890,000 on more than 17.5 million bottles of water.